As a leading cosmetic dentist, you likely enjoy obsessing over the details of your patient’s restorations so that nobody will notice they had dental work done. Your reward no doubt comes from the bond you create with your patients and the functional, healthy, confident, and gorgeous smiles they bear. As fellow dental experts, we get it. The problem seems to be that nobody else (your community in particular) seems to care. To increase your recognition and profit as a leading cosmetic dentist in your area, you need to: 1) educate yourself the right way, 2) equip yourself with the same tools the experts use and 3) artistically showcase your smile cases. Every good artist has mentors or role models. Da Vinci journeyed to Florence to study over the shoulder of Andrea del Verrocchio, a renowned sculptor and painter. A careful study of her methods (and those of many other over the years) empowered Da Vinci to make his mark in history. Once you begin practicing for profit, little time is left for cosmetic dentists to safely experiment with new techniques and learn on their own. Suddenly, testing with new materials comes out of your wallet, and messing up an oral surgery procedure on a real human could cost you your license or more! At this point in your career, the word mentorship starts to matter more and more. 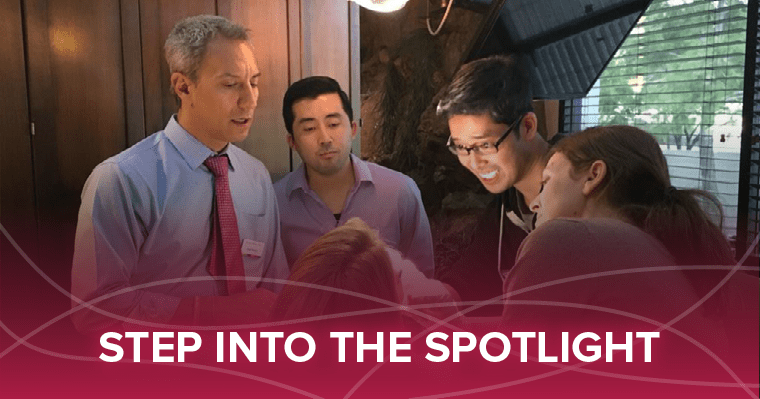 Our partnership with Clinical Mastery Series gives you an open door to a network of dental connoisseurs and over-the-shoulder group workshops to help you become the next dentist to redefine the standards of aesthetic dentistry for the industry. Because your career is worth it, we are offering a $200 off when you sign up for the Ultimate Occlusion Level 1 Course (new registrations only)! 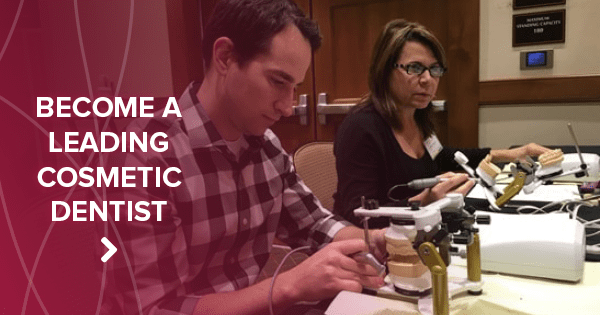 Enroll for Clinical Mastery’s next Ultimate Occlusion Level 1 course. Your career and patients will thank you! Shortly after you graduate from dental school and begin practicing, you may begin to feel short-changed upon realizing that you weren’t taught all there is to know about dentistry. And how could you have? True of life, some things must be learned on the job. Techniques, methods, materials, and philosophies change constantly, therefore a generous margin is left for you to improve upon and make the industry better. To guide and empower you, the upcoming next generation of spectacular cosmetic dentists, Gold Dust Dental Lab shares its 30+ years of experience, techniques, tools, and materials. 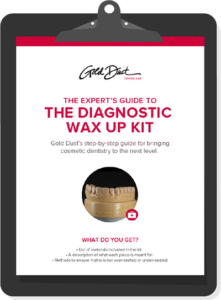 Among our expert tested-and-proven techniques, our diagnostic wax-up kit and checklist provides cosmetic dentists the step-by-step method that has helped many receive their AACD accreditation and win gold medals. Download it free. Taste success. Explore our plethora of free techniques and checklists here. Da Vinci’s works are kept safely in museums up to this day, but they weren’t always there. More than a picture on the wall, dentistry is an experience and an investment in one’s self. So, you want your patients to know exactly what to expect when they choose you as their cosmetic dentist. Hire a videographer or have a member of your team shoot a short video of a typical smile consultation. Incentivize some stellar patients to come in well-arranged for a testimonial and video. Interview them, get some action shots, some closeups, and a full headshot behind a neutral background. Sitting with your patient in the consult room, reach for your diagnostic wax-up you got from Gold Dust, and explain your vision. Feature in the video shot any x-rays and imagery from the patient’s case on a big screen and refer to it often. Talk with the patient and re-tell the story of what you did to reshape their smile and life. Ask them how they felt along the way. As you can see vividly exemplified on our homepage video, AACD accredited dentist, Dr. Jason Olitsky has spawned a new definition to dental photography! You can harness the same convincing power of visuals on your website and social media. In Dr. Olitsky’s two-day hands-on dental photography continuing education course, you will learn how to showcase your work with any professional camera, heck, even with an iPhone! Sign up for it. Indulge the artist in you. Showcase your masterpieces on your website’s smile gallery, social media, and ads, and in your monthly emails to your list of leads. Next step, becoming the leading dentist online. Up to this point, your journey to excellence as a cosmetic dentist will surely have gained recognition, and generated some hearty profits. But it doesn’t end here. You’re not the only dentist striving for supremacy. Other dentists with less qualifications and experience than you might seem to be miles ahead of you online. They might seem to be busier than you with large cosmetic cases. Why? Doesn’t Google know that you are far more qualified? Perhaps. But the question is whether or not Google cares. At that point of your career, dental marketing starts to matter more and more. Then, and only then, will you be able to learn and harness the secret for successful online dental marketing. Share this article with a colleague or friend. If you have questions, comment below or email us at info@golddustdental.com!